As I’ve learned, my story is identical to many other knee lock sufferers. It started in my early 40s. If I bend my right leg into a certain position for a certain period of time, typically the “ankle on knee” leg cross, the lateral and gravity forces on the “knee area” can cause a lock up. My knee physically locks in the bent position, as seen in this photograph. When my knee locks, it is truly, physically locked in place. Any attempt to straighten the leg is accompanied with excruciating pain. The harder I push against the lock, the higher level of pain. I’ve found various ways of unlocking (discussed later), and it takes on average 20-30 minutes of work to unlock a “locked knee”. Sometimes I’ve been locked for 2-3 hours. When the leg / knee area finally unlocks, it feels like a large bone is sliding or moving back into proper position. The unlocking is often accompanied by a dull, audible “thunk” which can be heard by others in the room. Without question, there is a large mass or large bone involved with the locking and unlocking mechanism. But instead, I had the arthroscopic “meniscus tear” surgery. The doctor later showed me a tiny piece of meniscus that he had surgically removed. But, alas, my knee lock condition did not change whatsoever. It was not a “torn meniscus” causing my knee lock. The surgery was worthless and unnecessary. A failure of diagnosis. This led me to the Internet, where virtually all of the large medical sites agreed that a torn meniscus is the primary cause of knee lock. But as I engaged in on-line conversations, I was dumbfounded to find scores of knee lock sufferers who reported having “torn meniscus surgery” that did NOT cure their knee lock. No change. Worthless surgeries. In fact, I would estimate the percentage of unsuccessful “meniscus knee lock” surgery reports at over 80%. As I started digging deeper into the orthopedic literature on meniscus surgery, I found data that corroborated my on-line conversations. 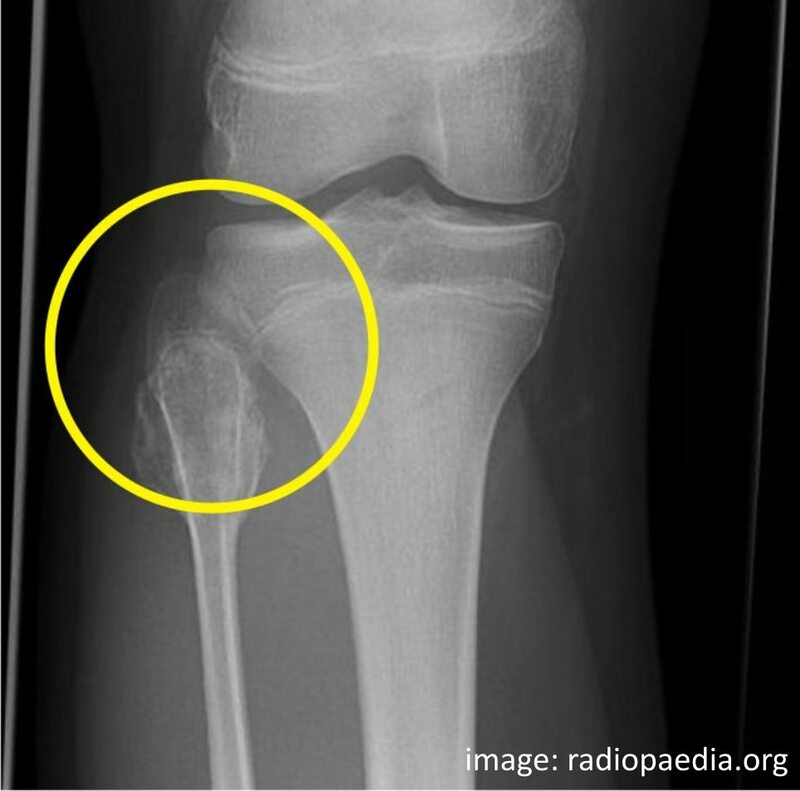 Arthroscopic surgery of the meniscus is THE MOST COMMON ORTHOPEDIC PROCEDURE in the USA. Meniscus surgery, alone, is a $4 billion industry, performed 700,000 times per year. If my years of on-line conversational evidence is anywhere near accurate, then over 500,000 of these 700,000 meniscus surgeries are unnecessary shams. I’ve since found NUMEROUS PEER-REVIEWED ACADEMIC STUDIES all concluding that surgeries for torn and arthritic meniscus are generally worthless. But the question remains: why is my knee locking up? It’s true, in a certain percentage of cases, torn meniscus is the cause of knee lock, and should never be ruled out. 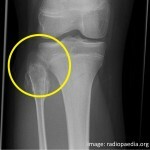 But, apparently, in a large majority of knee lock cases, the cause is something else. A few years ago, I stumbled upon a medical research paper by Drs. 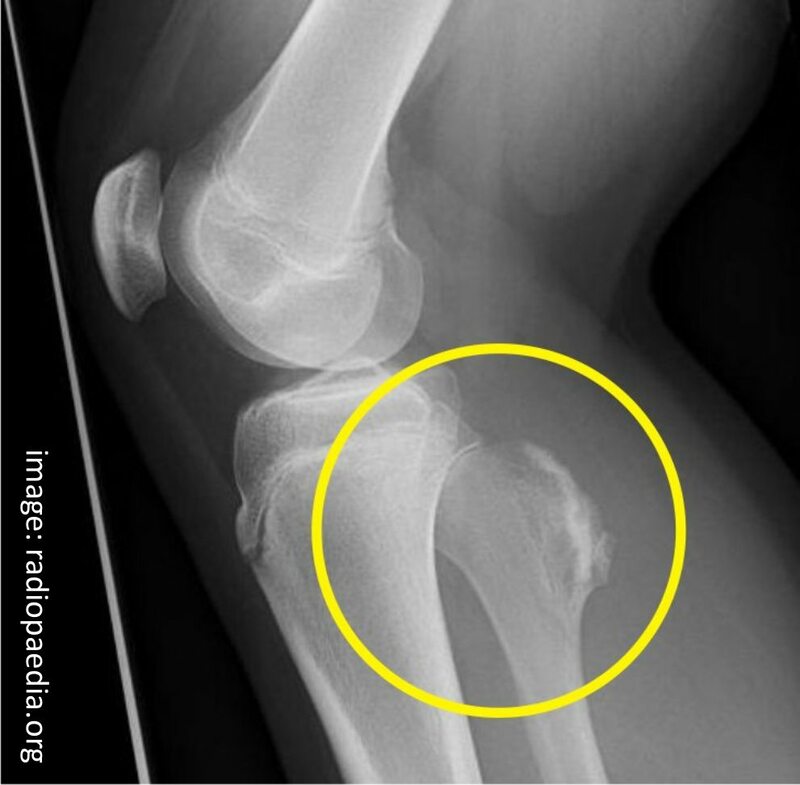 Kuhn and Sekiya, entitled INSTABILITY OF THE PROXIMAL TIBIOFIBULAR JOINT published in the March 2003 edition of the American Academy of Orthopaedic Surgeons. This paper describes a “knee lock” condition that is often “confused with … torn meniscus.” In brief, the paper describes an instability of the fibular head connection to the tibia socket, the “tibiofibular joint.” This instability causes the fibular head to physically slip out of its normal seated position, literally moving “out of joint.” The instability might be caused by genetic malformation, degeneration, injury, irregularity of the Popliteus muscle, abuse over time, and so forth. Soon after reading this paper, I experienced another knee lock. I immediately pushed and prodded in the area around the TF joint. Bingo! The pain, the lock, the noise …. It was all coming from the TF joint area. Certain leg positions were clearly causing my fibular head to move out of its normal position in the tibial socket. And when the leg unlocked, I could feel (and hear) the fibular head sliding back into its normal position. Thunk! Now the bad news. I spoke with Dr. Kuhn (now at Vanderbilt) some time ago and asked about treatment for TF joint instability. He said there are surgical methods to stabilize this joint, but that they are often unsuccessful, sometimes leaving the patient worse off than before the surgery. I believe he estimated that over 50% of such surgeries would not be considered successes. He discouraged me from a surgical solution and recommended management techniques such as leg muscle strengthening and leg position awareness management. I’ve read more recently of some doctors at St. Elizabeth Health Center in Youngstown OH having success repairing types of TF joint instability via surgically implanted fasteners, but their research seems focused on the rare cases of complete TF joint dislocation, not the kind of temporary TF partial dislocation experienced by many knee lock sufferers. One commenter found a doctor treating unstable TF with ligament reconstruction plus peroneal nerve neurolysis. I cannot advise medically as to the efficacy of any treatment, but am simply offering links for your further study. Based on what I’ve learned to-date, unless we’re dealing a really life-altering TF joint issue, I think we simply need to learn how to live with it – and be conscious of avoiding situations that would cause a lock-up. I’ve also found that leg press and leg curl exercises seem to help. Strengthening the leg muscles around knee seems to build in more preventative support and stability to the fibular head. It’s my hope that other knee lock sufferers join the conversation here. Perhaps together we can crowd-source some innovative new methods for reducing the pain and incidence of knee lock. If you want to add a comment, scroll up and click on the title of this post. Apparently, bettermedicine.com forums were recently purchased by HealthGrades.com, and the entire conversation was deleted. Vanished. Very, very sad that years of rich medical conversation was simply erased. It’s really mind-boggling that a company would buy a valuable community asset, and then destroy it. I’m a computer industry entrepreneur. I know that when you buy an Internet property, you are usually buying “eyeballs.” To destroy years of invaluable community discussion is not just a poor business decision, but (in this case) a breach of public trust. Anyway, that’s why I created this site. I’m passionate about helping people who suffer from knee lock, and (as I’ve learned), there are a LOT of people who suffer from knee lock. 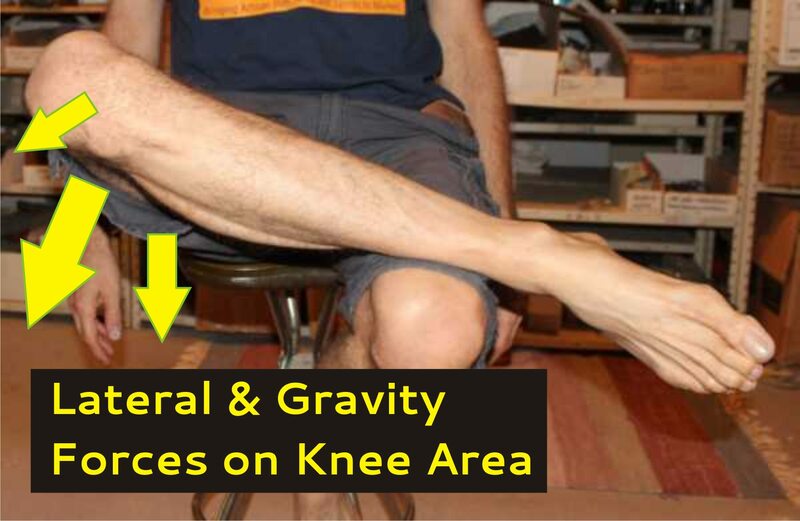 Moreover, there is a crazy amount of truly bad knee lock “medical information” floating around the Internet. As I’ve studied knee lock over the years, I believe to have pieced together a fairly accurate picture of the causes and possible cures for knee lock, and this picture looks surprisingly different than “for profit” knee lock resources on the Internet. Please read “My Story” and then share your experience. To comment, be sure to click on the title of the post.